Caught in the act or just another coincidence of expressing his fundamental rights to freedom of expression and interaction with other human beings. 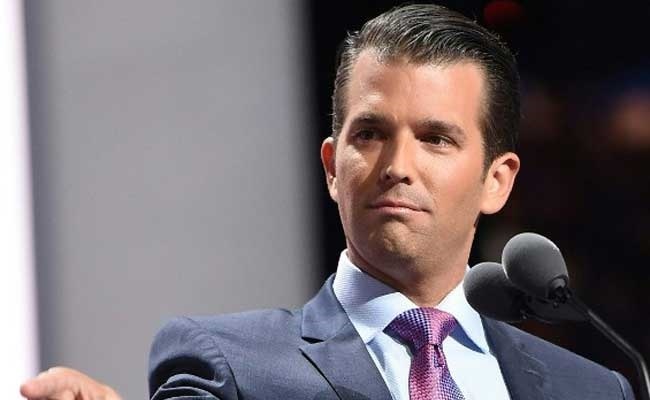 Donald Trump Junior is in the news for admitting he met with a Russian who promised to provide 'damaging' information about the former first family - the Clintons. The meeting with the suspected Russian lawyer identified as Natalia Veselnitskaya held at the Trump Tower in New York on June 9, 2016. Others in attendance were the president's son-in-law, Jared Kushner and then-campaign head Paul J Manafort. Junior says the lawyer failed to give any "meaningful" material on the presidential candidate. US officials are investigating alleged Russian meddling in the US election. The FBI and Congress are trying to determine whether Trump campaign officials colluded with an alleged Kremlin plot to undermine Mrs Clinton's campaign. The inquiries are yet to show evidence of collusion. The meeting held just two weeks after Donald Trump secured the Republican nomination.